Biloela is located in the Sandstone Wonders region, just west of Queensland’s Capricorn Coast in the Banana Shire. The town is 560 km north-west from Brisbane, and just 120 km south-west from Gladstone. 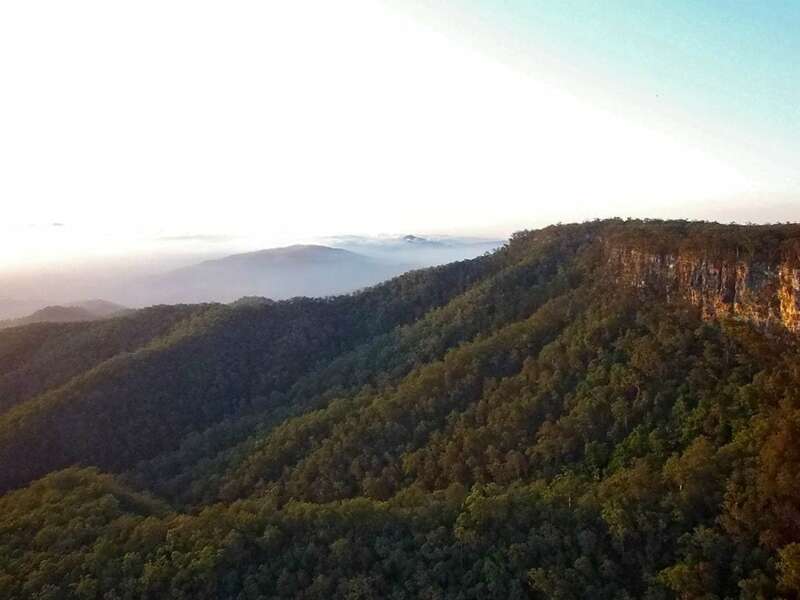 Aptly named the Sandstone Wonders after the magnificent backdrop of sandstone cliffs, deep gorges and mountain ranges found throughout the Shire, the region offers an adventure into the ancient landscapes and rural pioneering heartland of Queensland. 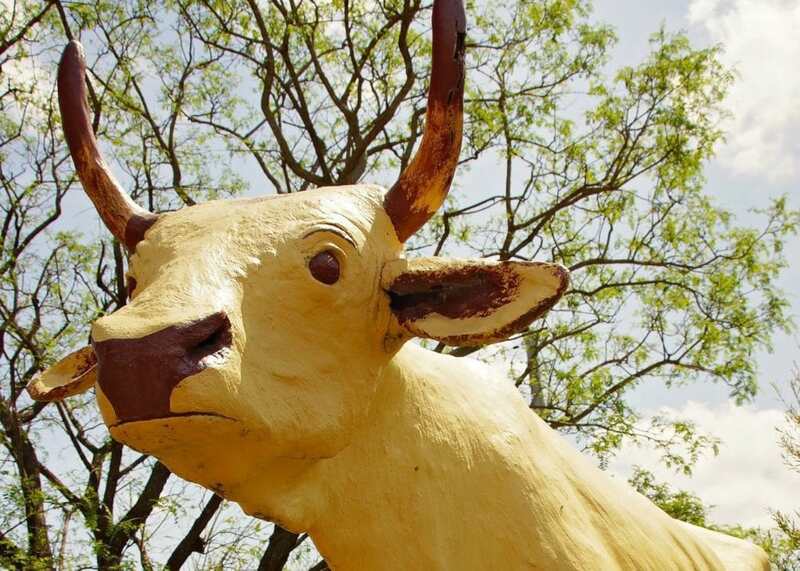 Just to set you straight, The Banana Shire is named after a famous yellowish-coloured bullock called ‘Banana’, not a bent yellow fruit. And the local town of Banana is also named after him too. 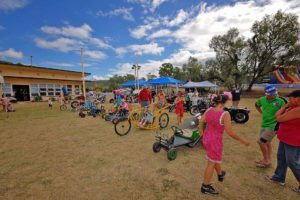 So, don’t expect to see banana trees surrounding Biloela, however, you will find plenty of other fresh local produce, great fishing, 4WD-ing and camping spots, historical sights and rural landmarks, National Parks, local museums, markets, cafes, and lots of cows! ‘Bilo’, as it’s affectionately known to locals, is nestled in the Callide Valley, with a rich rural, pioneering, mining, and Indigenous history. And in case you’re wondering how to pronounce Biloela correctly – think ‘bill-oh-wheelah’ – then you’ll have it right. Begin with a coffee from the Rural Hinterland Visitor Information Centre, located at Queensland Heritage Park, before commencing your morning of local history. The Queensland Heritage Park is situated on the southern outskirts of town. 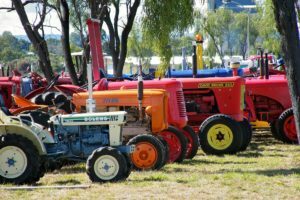 The Heritage Park celebrates the pioneering spirit; housing displays of nostalgic rural life, heritage buildings, farming equipment and artifacts, and sheds full of old machinery the blokes will love! The park is open daily, has a café for visitors and guests, a nice picnic spot next to the small lake, and caravan park facilities. While you’re at the Rural Hinterland Visitor Information Centre, be sure to grab the latest maps and info if you don’t already have them. The next historical stop is Greycliffe Homestead, located just across the Dawson Highway, less than 1 km away. The Queensland National Trust listed homestead is now the home of the Biloela Historical Society. Please call ahead to make an appointment to view the property, as it is only open by arrangement. 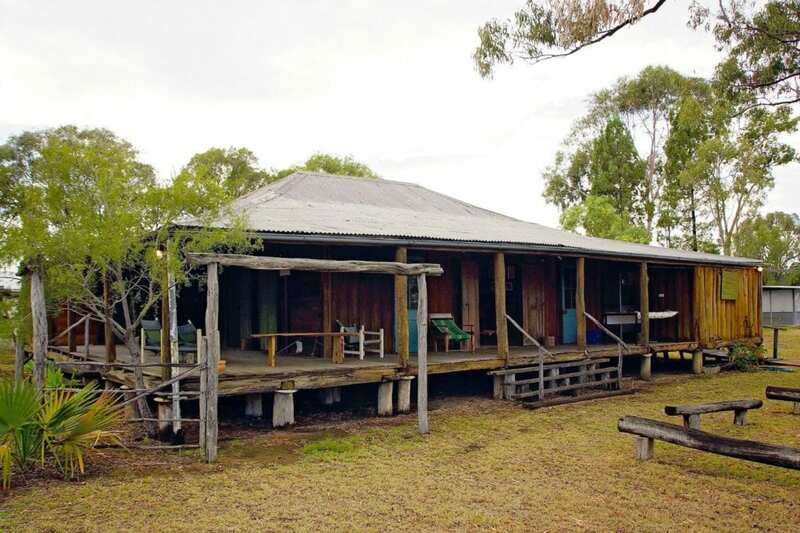 The homestead was built in the 1870’s from materials found on the property of the Nott family, local pastoralists, and moved to Biloela in 1979. The Nott family lived in the homestead for several generations over 100 years. Head just down the street a little, where you can’t miss the ‘Spirit of the Land’ Mural, the extraordinary local water tower painting that has become the town’s iconic landmark. 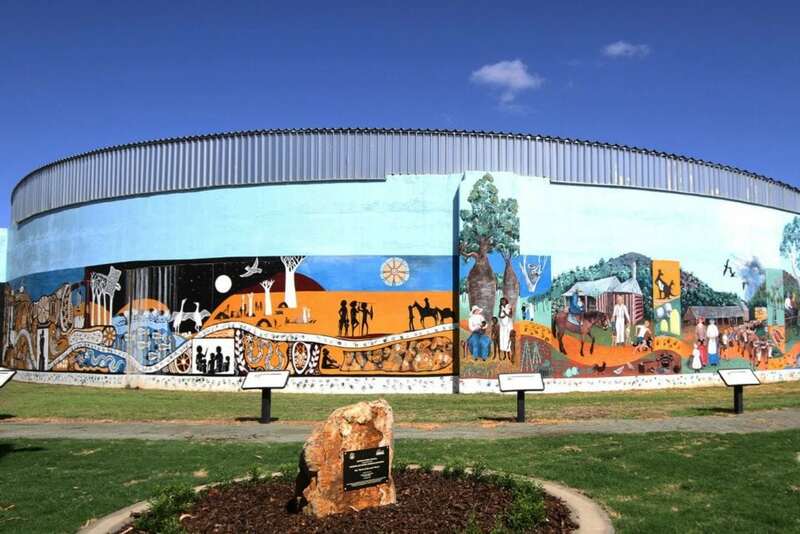 The detailed mural tells the story through the eyes of two local women and cultures, artistically recreating the connections between the early pioneers and the Indigenous people. 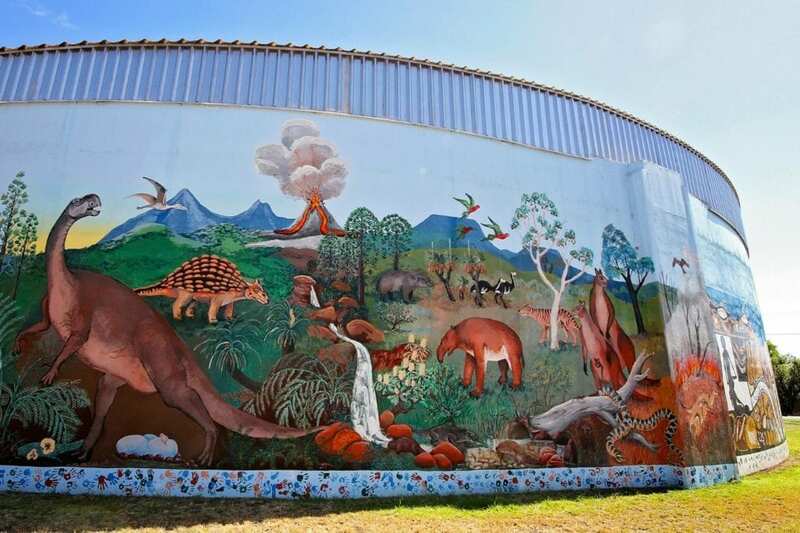 Painted by two local artists, the 100 m mural and 15 interpretative signs explore stories from the Indigenous beginnings, through to pioneer settlement in 1928, when Biloela became a gazetted town. To see the murals’ amazing scale watch this YouTube video. If you want a bit more artistic culture, pop in to the Banana Shire Regional Art Gallery to see the current exhibition in town, before heading to nearby Callide Dam. Enjoy lunch at a café in town. Popular café and lunch spots in ‘Bilo’ according to locals and TripAdvisor reviews are Simmons Bakery and Rise Bakehouse. Alternatively, why not take a picnic or BBQ lunch with you and enjoy the afternoon on the shores of the peaceful Callide Dam. 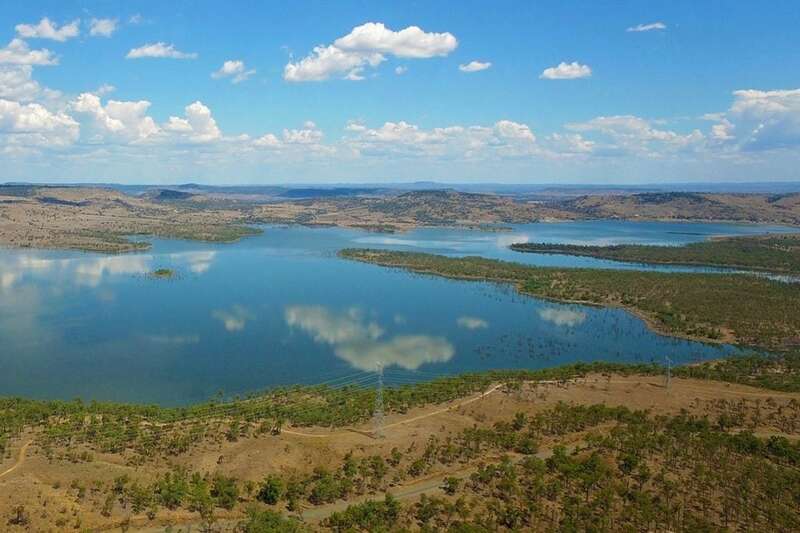 After a morning filled with history and nostalgia, head out to the Callide Dam to experience the fresh country air, water views, or a spot of fishing. On the way to the dam, continue up to the Callide Dam and Mine Lookout first. The lookout offers expansive views across the dam, which is the source of cooling water for the nearby coal-fired power station. Note: this section of road is unsealed, so not suitable for caravans. Head back down the road towards Biloela and take the Callide Dam turn-off. 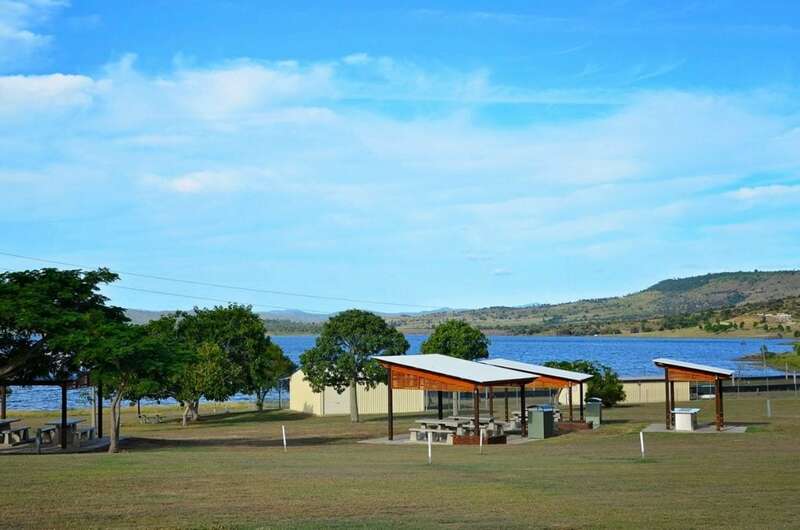 Spend the rest of the afternoon on the shores of the dam, where there are excellent recreation facilities, BBQs, picnic shelters, boat ramps, and toilets. If you have children or grandkids with you this is a great place for them to run around, have a game of footy or cricket, or try some fishing. The dam is a popular fishing spot for locals and visitors alike. It is stocked with cod, saratoga, golden perch (yellowbelly), silver perch and barramundi. The dam also has a big red claw population (a type of crayfish), which is a popular local delicacy; and many species of native birds to keep birdwatchers happy. Be sure to take your camera with you! To return to ‘Bilo’ you can drive back the same way you came, or take the scenic drive back to town via the Old Coal Road to the Dawson Highway, and back to Biloela. 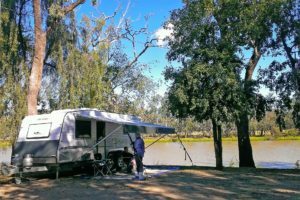 Head back into Biloela for dinner in one of the cafes, restaurants or pubs; or set up camp for the night. 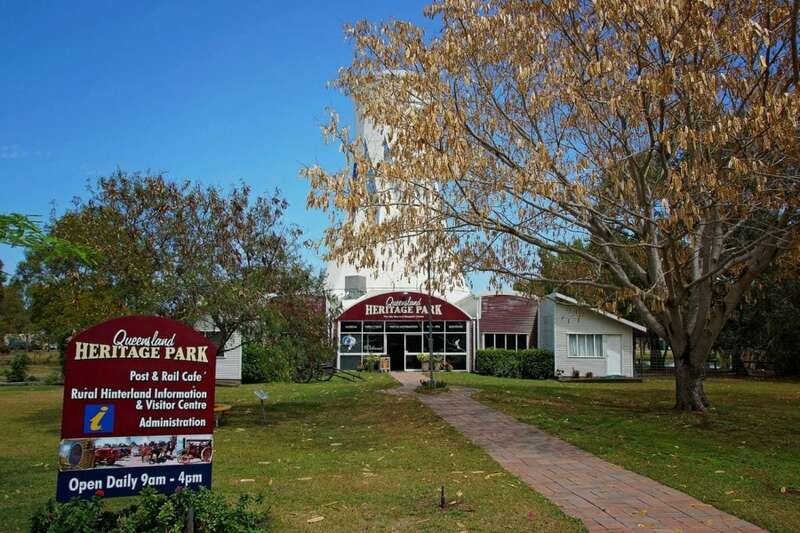 Local caravan parks, camping facilities, and motels are located close to the centre of town. Hotel Settlers is one of the most popular dining spots according to TripAdvisor reviews and locals alike. 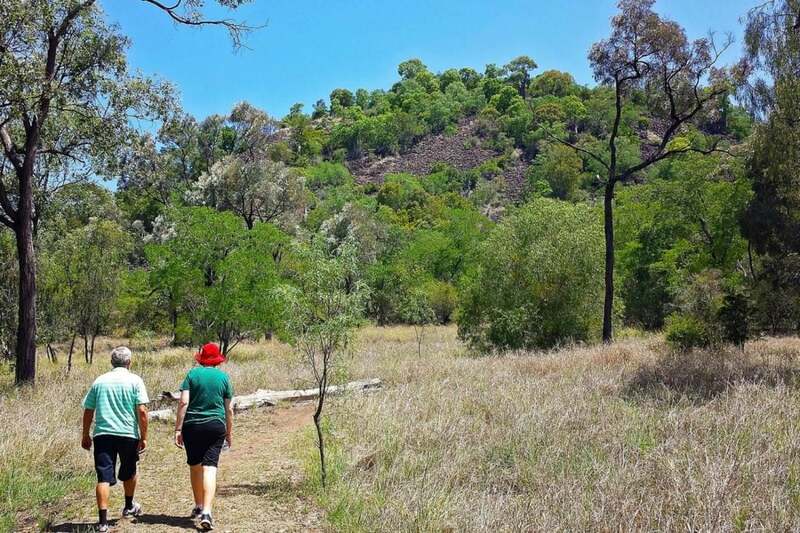 Next morning, before your 24 hours in Bilo ends and you continue on your adventures, head out to Mt Scoria Conservation Park, a short 12 km drive from Biloela via Thangool. Mt Scoria, also known as the ‘Musical Mountain’, is so-called because of the humming sound made when the volcanic rock is struck together. The unique pillars of the mountain’s landscape were formed when the lava flow cooled naturally many millions of years ago. Don’t miss the cultural interpretative walk at the base of the mountain. Discover the significance of the site to the local Gaangulu people. Perhaps take some morning tea with you and look out for the native birds and wildlife. Why not extend your visit and stay for another 24 hours in the Sandstone Wonders? There are more off-the-beaten-track sights and experiences waiting for you – just around the next bend. If you time your visit right, head down to the Biloela Markets bright and early on Saturday morning. Purchase locally-made arts and crafts, jewellery and fresh home-made baked goods and farm produce. 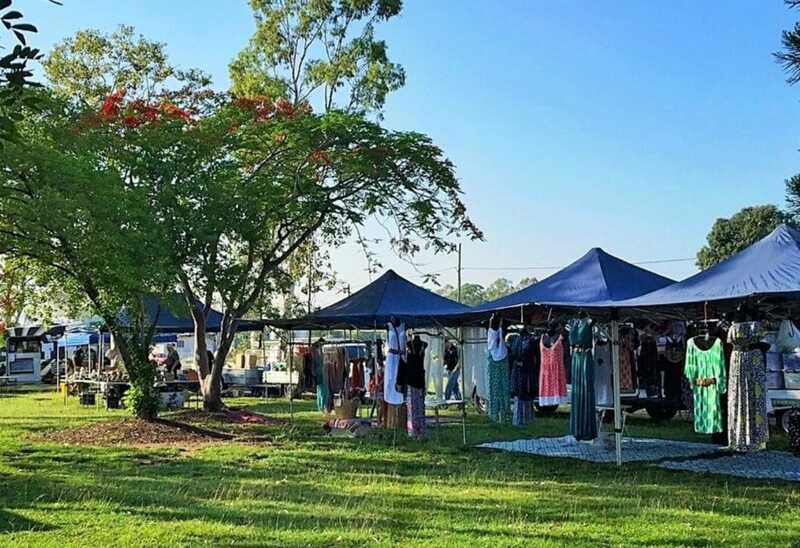 The Biloela Markets are on every 3rd Saturday morning of the month. Check their facebook page for details or the events section on our website for dates and other local events. The best way to make the most of your time in Biloela and the Sandstone Wonders is by doing a self-drive tour. The Sandstone Wonders website includes a couple of suggested itineraries to get you going. 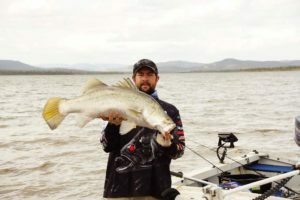 The Banana Loop includes the broader Shire area; while the Biloela Beauties covers the local area – an itinerary similar to this one. For all self-drive tours click here. 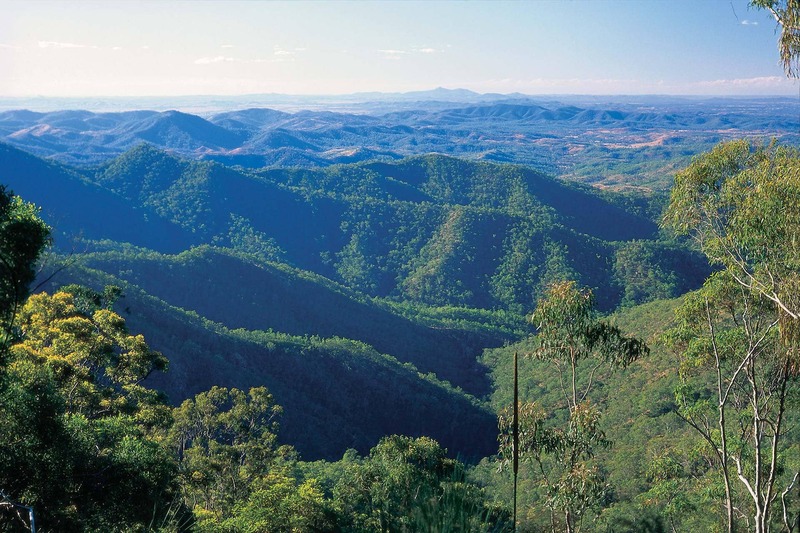 The Sandstone Wonders region is home to 25 mountain ranges, and is often referred to as ‘the roof of Queensland. It is also home to numerous rivers, lakes and National Parks. 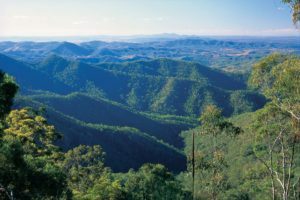 Don’t miss Kroombit Tops National Park while in the Biloela area. Check road details for vehicle suitability, as some National Parks are only accessible via unsealed roads, not suitable for caravans. For more details download our Sandstone Wonders regional brochure. And to keep up-to-date on regional news and events, please check out our Facebook page. See you in Bilo! I think Lions Park, Biloela deserves a mention. A beautiful park, lots of shade and well appointed amenties. It also has a Liberty Swing for he mobility impaired. 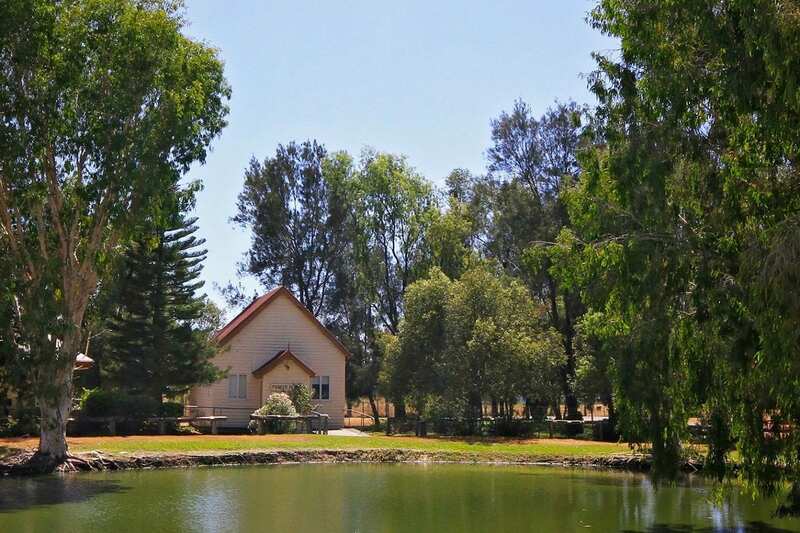 Suitable for all ages…great place for a picnic lunch, or smoko, give the kids a chance to burn off some energy. Hi Ruth, this blog is aligned to the bigger experiences that will encourage visitors to spend more time in the area. Lions Park whilst lovely, does not fit that criteria. Thanks for the info. Looks amazing, but does not seem to fit for people traveling with all the family. I am referring to their pets. Cheers.